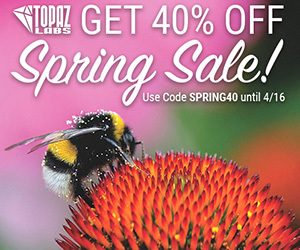 Starting today Topaz Labs is offering 40% off their entire online store - that's about $200 off their Complete Collection (valid until April 16th). What is the Topaz Labs Complete Collection? With the recent addition of Topaz Texture Effects 2, Impression 2, and Glow 2, the Complete Collection includes all 17 plugin products, which individually would cost over $1000. What is a Complete Collection upgrade program? If you’ve already purchased an individual product (or several products) from Topaz in the past, their system will discount the collection upgrade price. As long as you're signed into your account, you can get an additional 40% off your custom collection upgrade pricing. 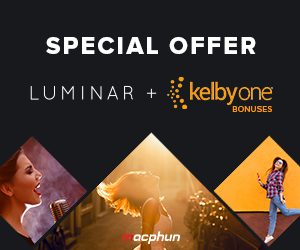 April's offer from Macphun: Luminar editor for Mac + 1 month of KelbyOne membership + 12 portrait presets from Scott Kelby for $69 (total value of $99). 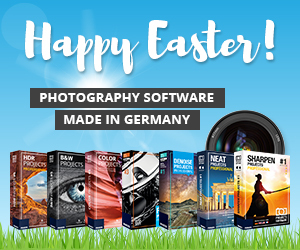 This offer is valid until Wednesday, May 3rd. Pricing as low as s $49 for Macphun users or $59 for non-Macphun users when you use coupon code PHOTORUMORS. This entry was posted in Deals, Macphun, Topaz Labs and tagged Franzis, Macphun Luminar. Bookmark the permalink. Trackbacks are closed, but you can post a comment.